Ms Tracy Cull is in Johannesburg today to make a presentation at the 2014 CAADP Africa Forum, which has the theme of family farming. The presentation will be in the session on climate-smart agriculture and will highlight preliminary emerging findings from the project managed by Kulima and UNIQUE Landuse and Forestry that seeks to identify agricultural adaptation best practices on behalf of the Comprehensive Africa Agriculture Development Programme. 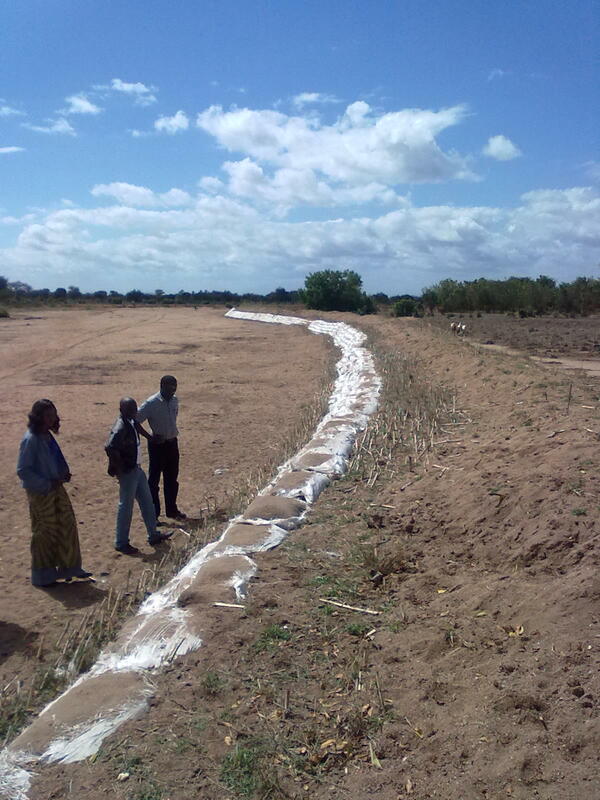 Adapations in different farming and commodity types have been investigated in Burkina Faso, Cameroon, Ethiopia, South Africa, Togo and Zambia. Looking at different commodity types and farming practices, and the enabling environment required for adaptations, will lead to the production of a report on six overall best practices in early 2015. 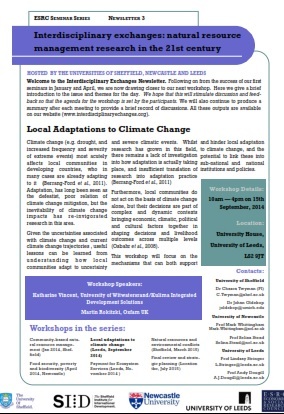 Dr Katharine Vincent is currently in Leeds where she is participating in a seminar on climate change adaptation at the University of Leeds. The seminar forms part of an ESRC-funded series on "Interdisciplinary exchanges: Natural resource management in the 21st century" which is led by Dr Chasca Twyman from the University of Sheffield, and also includes the universities of Leeds and Newcastle. 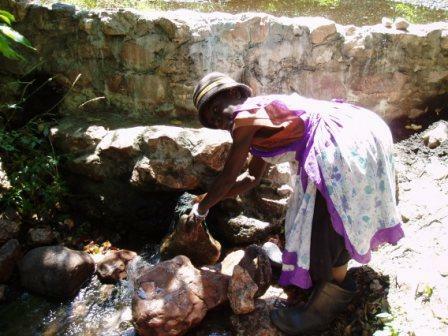 Katharine will be sharing her experiences of local adaptation from various countries in southern Africa, including South Africa, Mozambique, Malawi and Zambia. 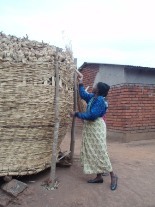 Dr Katharine Vincent and Ms Tracy Cull, together with co-authors Diana Chanika, Petan Hamazakaza, Alec Joubert, Eulalia Macome and Charity Mutonhodza-Davies, have published a paper entitled "Farmers' responses to climate variability and change in southern Africa – is it coping or adaptation?" in the journal Climate and Development, published by Taylor and Francis. 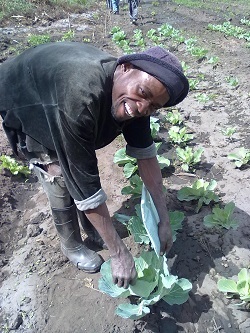 The paper arises from research conducted for Oxfam and contributes to theoretical debates on the differences between coping and adaptation based on empirical evidence from five southern African countries: Malawi, Mozambique, South Africa, Zambia and Zimbabwe. It concludes that whether particular strategies represent coping or adaptation is context- and scale-specific, but has implications for policies and programmes intending to support adaptation in the future. Dr Katharine Vincent and Ms Tracy Cull are currently in Midrand, South Africa for a workshop of national experts as part of the Kulima–UNIQUE Forestry and Land Use project on agricultural adaptation to climate change, funded by GIZ and implemented through NEPAD. The workshop marks the end of the inception phase for the project, which has involved national experts from the six focal countries (Burkina Faso, Cameroon, Ethiopia, South Africa, Togo and Zambia) in scoping existing agricultural adaptations and inventorising the range of farmers' organisations in their countries. The purpose of the meeting is to define selected agricultural sub-sectors/agro-ecological zones and production systems of interest. These will then be subject to further research through a collaborative two-way participatory capacity building approach, in which project staff will impart climate information to the farmers' organisations. South Africa’s Department of Environmental Affairs (DEA) and the Development of Bank of Southern Africa (DBSA) have opened a call for applications to the South Africa Green Fund. Municipalities, provincial and national governments, private sector, research organisations, NGOs and other interested parties are invited to submit proposals under any of the three themes – green cities and towns, low carbon economy, and environmental and natural resource management. Online applications will be accepted until 12:00 on 24th October. Dr Katharine Vincent is in Cape Town for the quarterly SARVA portal theme convenors meeting. The SARVA portal is an electronic spatial data poertal designed to accompany the South African Risk and Vulnerability Atlas. Kulima contributes information on the use of weather and climate information to the Weather and Climate Theme. The portal is currently undergoing structural revisions in order to make it more accessible to a variety of end-users. Ms Tracy Cull is currently in Cape Town for the Western Indian Ocean Climate Change Workshop, which Kulima has organised. The workshop, convened by the United States Agency for International Development (USAID) and the National Atmospheric and Oceanic Administration (NOAA) under the auspices of the Adaptation Partnership, has brought together over 40 Marine Protected Area managers and climate change policy decision makers from Comoros, Kenya, Madagascar, Mauritius, Mozambique, Seychelles, Somalia, South Africa, and Tanzania. The purpose of the workshop has been to identify the capacity requirements for Marine Protected Areas (MPAs) within the Agulhas and Somalia Current Large Marine Ecosystem (LME) to conduct vulnerability assessments and build adaptive responses to climate change impacts within their management areas. Kulima is contributing information on the human dimensions of weather and climate to the South African Risk and Vulnerability Atlas spatial data portal. The portal is designed to complement the hard copy atlas, and provides spatial data arranged around several themes: agriculture, biodiversity, coasts and oceans, environmental health, water, human settlements, emissions and air quality, and weather and climate. The weather and climate theme page contains weather and climate data (provided by CSIR), including the latest seasonal forecasts and climate change projections, together with examples of how South Africans use weather and climate information to inform their decision-making (provided by Kulima). A recent summary of the theme page was published in the SARVA newsletter. Alertnet has just published an article by Katie Murray that was written following an interview with Dr Katharine Vincent. The article, in the Climate Conversations series, entitled “Tune climate policy to women for real change“, highlights the gender differences in climate change impacts and abilities to adapt. Women tend to rely on natural resources – such as farming, and collecting water and firewood – more than men, which means that climate change affects them more directly. The article highlights the capacity for women to be agents of change, provided they are given a voice in decision-making (both in the household and within government). UNEP Risoe Centre has just released “Technologies for Adaptation: Perspectives and Practical Experiences” as part of its Technology Transfer Perspectives Series. Dr Katharine Vincent, Ms Tracy Cull and Dr Alec Joubert contributed a paper entitled “Technology needs for adaptation in southern Africa: Does operationalisation of the UNFCCC and associated finance mechanisms prioritise hardware over software and orgware?” This draws on Kulima’s experience in South Africa, Mozambique and Swaziland, and argues that the UNFCCC and adaptation finance mechanisms inadvertently favour hardware (concrete infrastructure) over software (“soft skills” required to make behavioural and socio-cultural changes) and orgware (the institutional set-up and coordination mechanisms required to support the implementation of hardware and software).